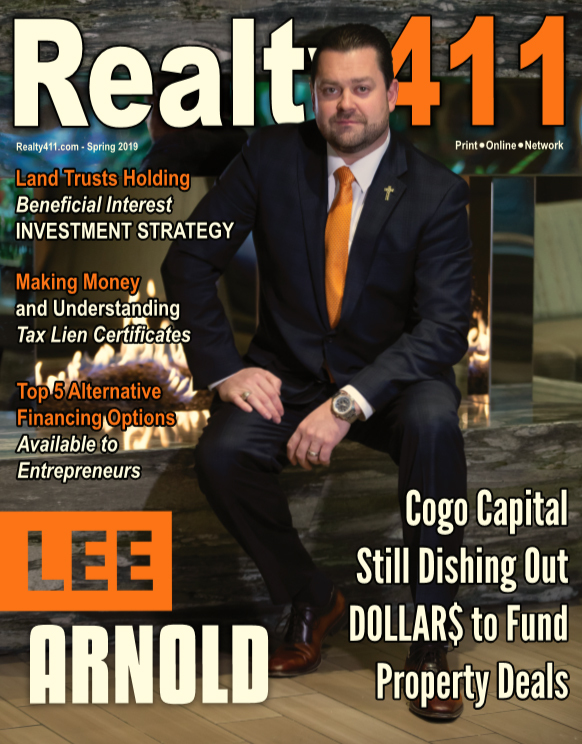 The publications, events, expos and mixers produced and promoted by Realty411guide.com, reWEALTHmag.com, CashFlow Express, REI Wealth Monthly and/or their owners, employees, agents, and affiliates (collectively “411”) are for informational and entertainment purposes ONLY. The information and presentations provided therein do not constitute an offer or solicitation to buy or sell securities or real estate. Please be aware that real estate investing is VERY RISKY. 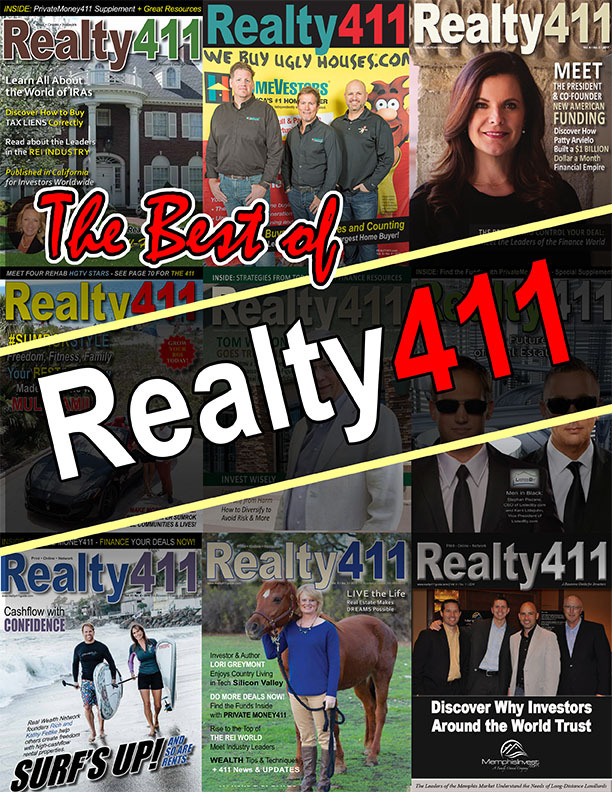 411 is not responsible for any of the information provided and/or statistical data presented, and 411 does not represent that any information or opinions expressed and data provided reflect the opinions, advice and research of the publishers, editors, columnists, vendors, speakers, sponsors, or guests who are in attendance at the events, and do not reflect the opinions, advice or research of 411. By attending 411 events you acknowledge that the investment strategies mentioned may not be suitable for you, that any real estate investment is inherently risky, that all investments are subject to risks, which could result in the entire loss of your investment, and that 411 is not responsible for any losses or outcome of any investment made by you from or after 411 events, or as a result of contacts made at these events as well as after reading 411 publications. 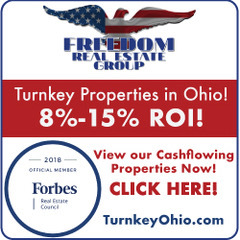 You personally are 100% responsible for your due diligence, for all investment information and for all decisions with respect to any potential investment or transaction. 411 does not endorse, and has not performed due diligence on any of the columnists, advertisers, vendors, speakers, sponsors, companies and guests who appear at our events or in our publications. 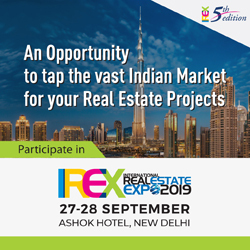 The information presented at any 411 event related to any potential real estate investment is general in nature and does not constitute legal, tax or investment advice. 411 strongly recommends that you seek the advice of your trusted attorney, broker, CPA and/or financial adviser before taking action as an investor. If you have had an unpleasant experience with a speaker or company sponsorsing our current or past expos, please contact us: (805) 693.1497. 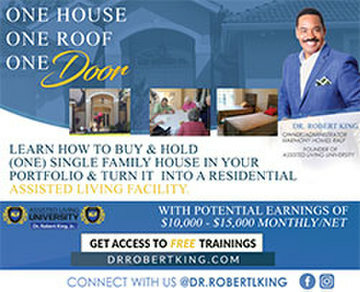 **Real estate, and all investing, is risky and may result in the entire loss of your principal investment. PLEASE invest responsibly. ** By registering for one of our events or downloading our magazine, individuals automatically grant us permission to contact them about future events, new magazines, affiliate products, etc., via all forms of communication provided. Should you not want to receive information, you may opt-out at any time.